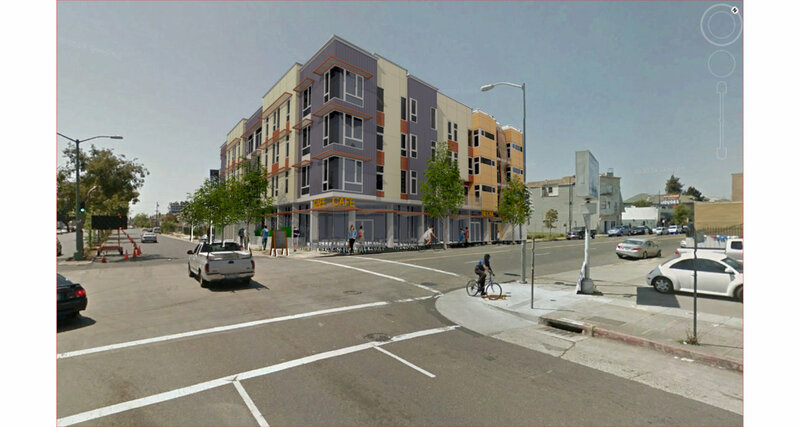 3801 and 3820 Martin Luther King Jr. Street are two sister multifamily buildings being developed in concert near Oakland’s Temescal district. The larger corner building provides 32 condominiums around a central landscaped courtyard, allowing an abundance of natural light and ventilation into each unit. At street level a large café and retail space provide services for residents and add life to the street. The smaller mid-block building provides 18 apartments over parking. Both buildings are constructed over concrete podiums and feature roof gardens, secure bike storage, and balconies. The development of the two buildings along the one block stretch will make a large positive impact on this transitioning neighborhood.